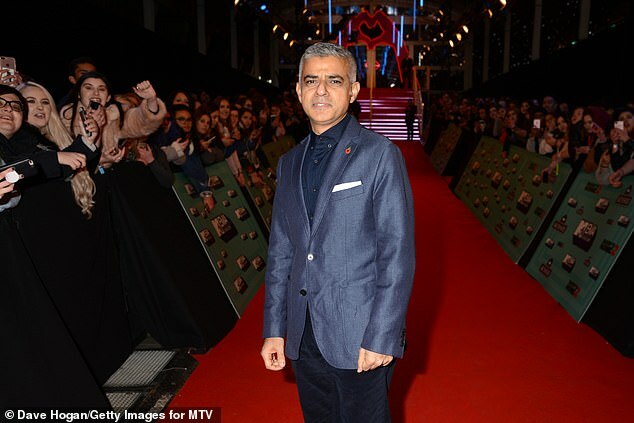 Home » Lifestyle » STEPHEN GLOVER: Ten years to beat knife crime, Mr Khan? STEPHEN GLOVER: Ten years to beat knife crime, Mr Khan? 11/08/2018 Lifestyle Comments Off on STEPHEN GLOVER: Ten years to beat knife crime, Mr Khan? STEPHEN GLOVER: Ten years to beat knife crime, Mr Khan? What mind-boggling complacency …well Sadiq has been oh-so busy! Who but a halfwit could doubt that we are in the midst of a violent crime epidemic which neither the police nor the Government seem able to do much about? In the past week there have been five fatal stabbings in London. By the time you read this, the grisly toll could have climbed to six. After all, an average of 40 knife crimes every day are carried out in the capital. Violent crime is soaring — and the word is not misused. After years during which it appeared to be in decline, there has been a sudden explosion of offences which experts are incapable of explaining. According to official figures, violent crime in England and Wales has almost doubled in three years from 778,000 offences in 2015 to 1.4 million now. London is by far the most dangerous place in the country for knife crime, but violence is sharply on the increase everywhere. Confronted with these horrifying developments, one would expect the authorities to display a sense of alarm and put forward policies intended to make our streets safer. But in recent days there has been a virtual silence on the Government’s part. Oh, no — I do ministers an injustice. 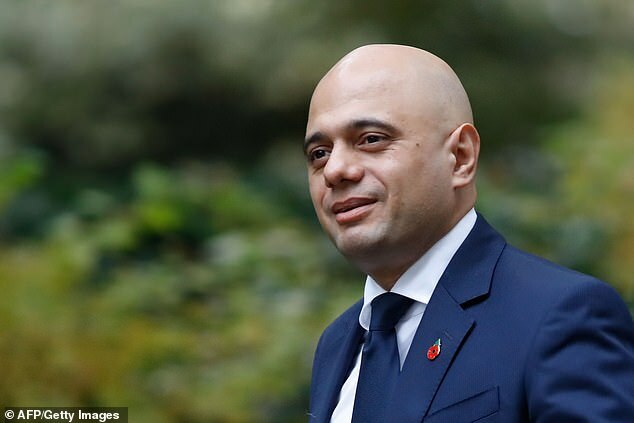 Sajid Javid, the Home Secretary, tweeted that he was ‘absolutely determined to tackle knife crime’ and refused ‘to write off a generation of young people’. All over the capital youthful hoodlums will be quaking with fear in the knowledge that the authorities aren’t going to sit on their backsides any longer, and will be coming after them. 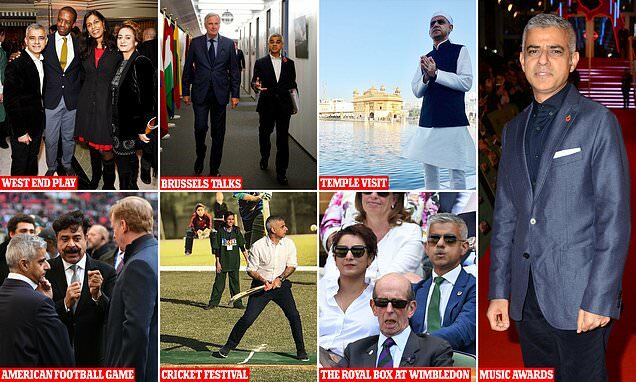 One other politician who shared his thoughts in recent days was Sadiq Khan, the Labour Mayor of London, whose love of the limelight is featured on these pages. But he only succeeded in deepening the general gloom by suggesting it might take a decade to bring violent crime under control. Ten years? That’s a terribly long time. It turns out Mr Khan is pinning his hopes on a ‘public health approach’ as has been tried out in Glasgow, where the murder rate has halved since 2005. In the Scottish city, teenage gang members were offered a way out of crime through education, training and mentoring. Social workers and teachers were involved in the programme, working alongside the police. It sounds a good idea, though we can’t be sure whether such an approach would work in the capital. But talk about bringing such a human disaster under control by 2028 reveals a complacency and absence of urgency that can only be described as mind-boggling. No, what is needed is better policing now. I’m afraid there is plenty of evidence that clear-up rates of crimes are falling and the police are becoming increasingly ineffectual. According to one recent analysis of all crimes committed over a five-year period, the proportion solved fell from 19 per cent in 2013 to 9 per cent last year. The clear-up rate of homicides is significantly greater, but here, too, there has been a marked decline. In London last year, 72 per cent of murders and manslaughters were solved, compared with more than 90 per cent in previous years. The police will say they are less effective because of cutbacks. This is certainly partly true. But the reduction in police numbers of some 14 per cent since 2010 cannot entirely explain the larger fall in the clear-up rate of crime. It is hard to resist the interpretation that the police are getting less good at solving crimes, doubtless partly because their energies are exhausted in investigating the ever-growing number of ‘hate crimes’, many of which are trivial. Meanwhile they very seldom patrol the streets. The other day in central Oxford I observed two officers chatting in a police van. Bizarrely, it didn’t occur to either of them to get out and make their presence felt on the street. The consequence of police shortcomings is a breakdown in public confidence. The Commons Home Affairs Select Committee recently drew the extraordinary, though I fear correct, conclusion that ‘policing is at risk of becoming irrelevant to most people’. And yesterday the policing minister, Nick Hurd, wrote in a newspaper article that the police may forsake public trust unless they are able to explain to victims why officers are failing to investigate crimes. He was passing the buck, but he’s right. Somehow the police have to improve their performance. Given the hidebound (and I fear sometimes not very intelligent) mindset of many senior officers, this won’t be done without encouragement and intervention from ministers. But the Government is much at fault, too. When it began to chip away at police budgets in 2010, crime was falling, and for a time it seemed cutbacks would have no deleterious effect. Now violent crime is rising quickly, it is no longer possible to maintain that falling police numbers haven’t made a contribution. As Home Secretary, Theresa May wielded the knife too uncritically. The Tories should take care. More reductions in police numbers are planned, not least in London. Can they honestly believe the public will forgive them if these go ahead while knife crime is spiralling? And do ministers truly believe it is morally defensible to increase the foreign aid budget year by year (at £14 billion it is now larger than the entire police budget for England and Wales) while continuing to deprive officers of the resources they need to protect the public? Another fault of the Government — and of Theresa May as Home Secretary — was to put pressure on the police to curtail their use of ‘stop and search’. This was done for what seemed the best of reasons, since non-whites were more likely to be stopped by police than whites. But non-whites are often proportionately more at risk from knife crime, and deserve protection. More and more people are carrying lethal knives, including children as young as ten. Are the police really expected only to intervene in extremis? Apparently so. In 2008 the Metropolitan Police used stop and search 700,000 times, but last year that figure stood at just over 100,000. Only a very bigoted and narrow-minded criminologist would deny a possible link between a rapid rise in knife crime and a no-less-rapid fall in the use of stop and search. The criminal justice system is also a shambles. The Mail revealed yesterday that many repeat offenders have avoided jail over the past three years despite being caught with a knife for a second time. Under new laws introduced by the Government in 2015, they should be locked up for at least six months. No doubt the Tories feel vulnerable because they have reduced police numbers and discouraged stop and search. They cling to the old arguments despite evidence to the contrary. But when circumstances change, intelligent people change their minds with them. London in particular is seen by its citizens, and I suspect by many people abroad, as a dangerous place. It is a tragic reflection that there was a kernel of truth in President Trump’s wild depiction of the capital as ‘a war zone for stabbing’. When will the Government start taking these terrible developments seriously? People can’t wait until 2028. It’s time for old mistakes to be rectified, and for new action to be taken. 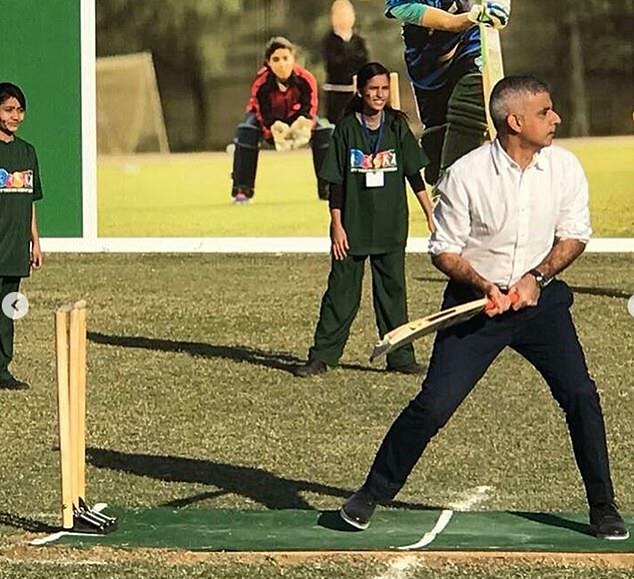 Sadiq Khan has been oh-so-busy! The surge in London’s violent crime hasn’t put a dent in mayor Sadiq Khan’s jet-setting lifestyle. 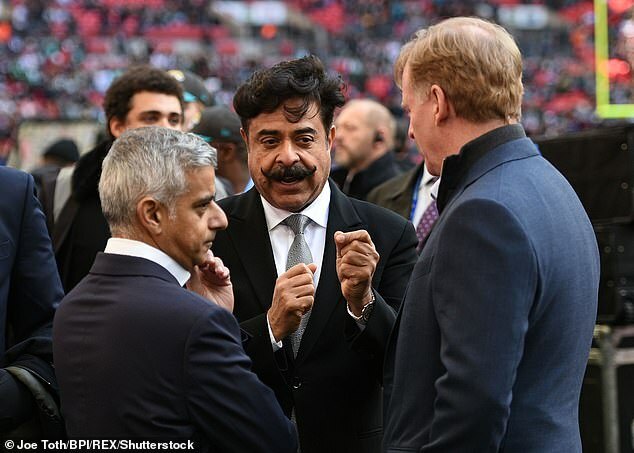 Mr Khan was criticised this week after he warned it could take ‘a generation’ to bring the city’s crime problem under control. His critics pointed to his many overseas trips and red-carpet appearances as evidence that he wasn’t tackling the critical issue. 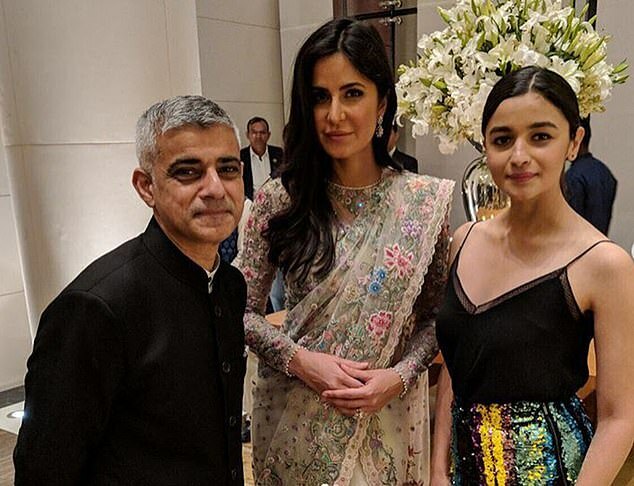 In December last year, Mr Khan met British Bollywood actresses Katrina Kaif and Alia Bhatt in Mumbai, India. 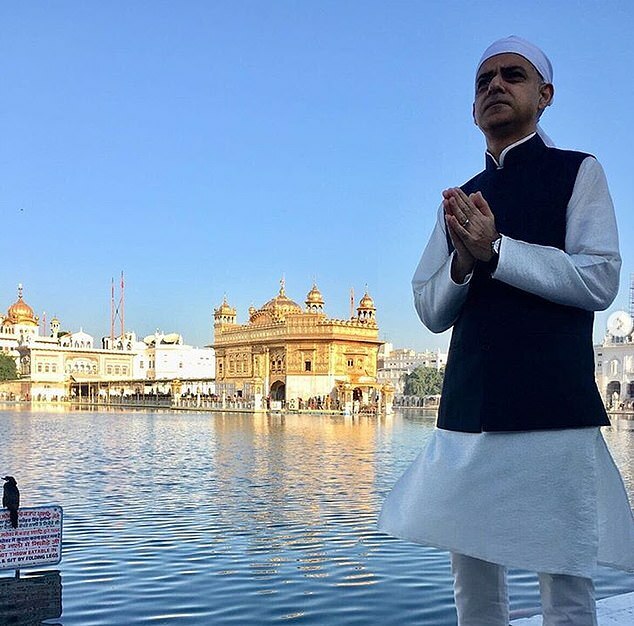 Days later, he was snapped touring the Golden Temple in Amritsar, before popping over to Pakistan to play some cricket. In March this year, he went to the achingly hip South by Southwest music festival in Austin, Texas, where he was afforded rock-star status. 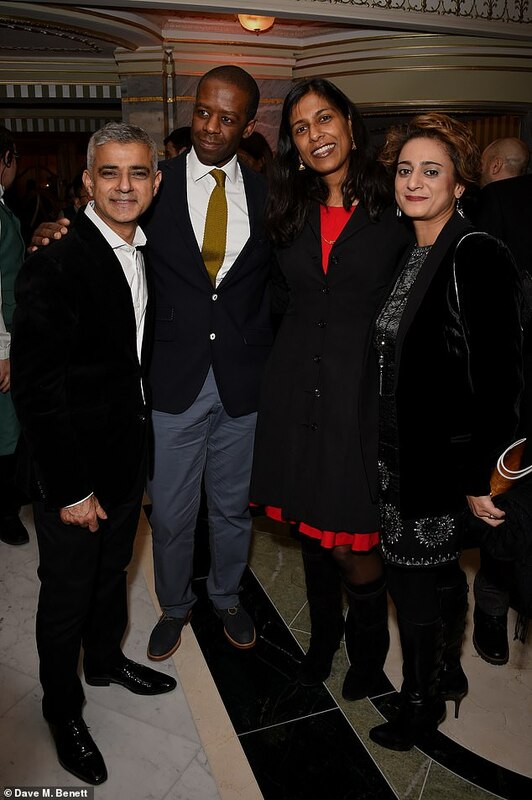 Mr Khan attended the MTV Awards in November 2017, and was pictured with actor Adrian Lester at the Press night for the award-winning musical Hamilton the following month. 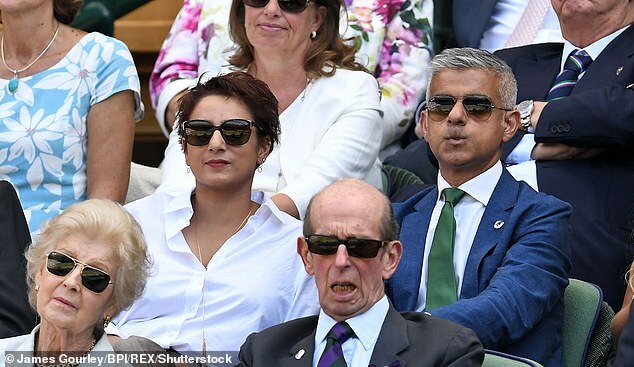 In March, he was at the ‘Legends of Sport’ awards in London, and in July, he enjoyed the tennis from Wimbledon’s Royal Box. Last month, the Labour politician posed with actress Rosamund Pike at a film premiere in London, enjoyed a U2 concert after-party and was then pictured at an American football match at Wembley.